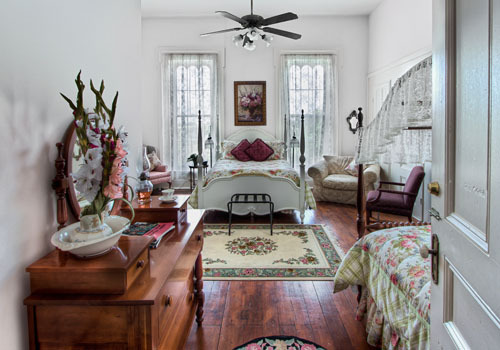 Enjoy a grand, garden view from this beautiful, elegant room featuring Country-French Queen-size Bed and an antique Canopy Full-Size Bed with luxury linens. Ancient Maple Trees, right outside the windows, provide shade from the summer sun and the sweet whisper of Kentucky breezes. Views of the Wedding Gazebo & Flower Gardens as well as the front meadows of Alpaca & Llama Fields. 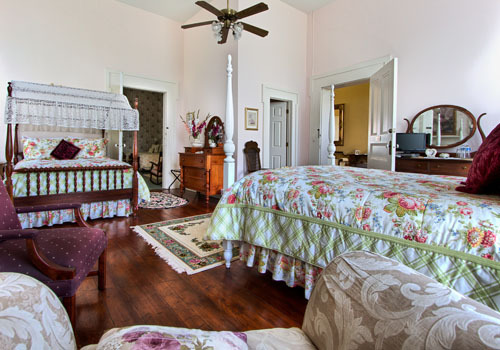 May adjoin to the Harriet Beecher Stowe Room – making it ideal for extended family or friends, especially Girlfriend Getaways. 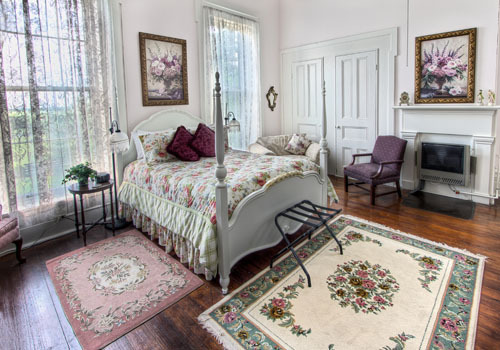 (Additional Guest Fees: $35/Adult or $20/Child 12 years or younger).